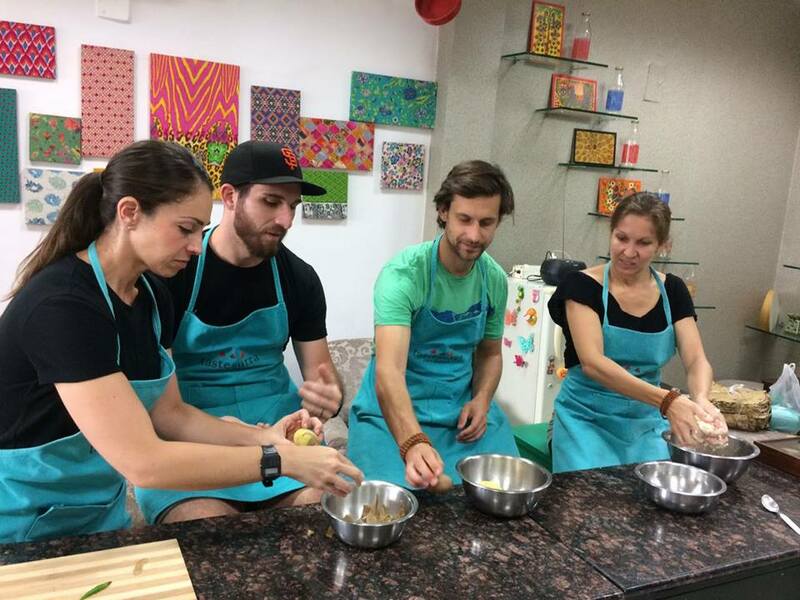 Tastesutra is a hands-on cooking studio offering cooking classes for tourists, groups and corporate team building workshops. We believe that anyone can cook and look forward to offering you the opportunity to cook, create, crave and cherish food in a way like never before. 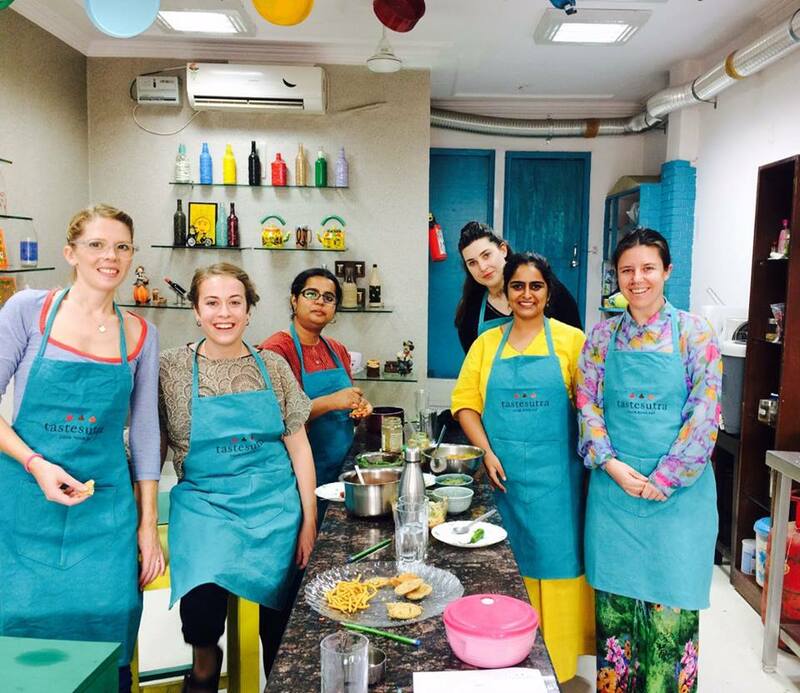 Our signature Cooking Sessions offer a unique experience for travellers and expatriates to learn more about India’s food heritage, while our customized team-building cooking activities help organizations bond and build relationships over the creation of themed cuisine. 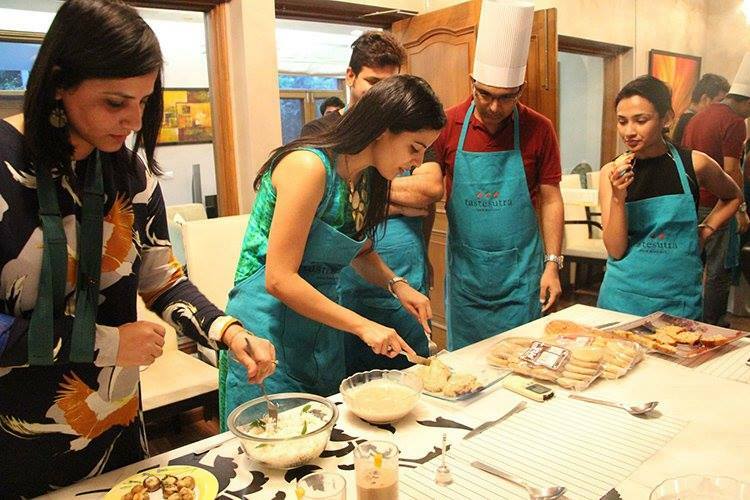 Introducing the concept of cooking parties, we organize get-togethers for guests with their friends, family & acquantainces. From all across the globe. Somethings in life aren’t planned, they just come to you naturally & tend to take their own course in the larger perspective of things. And that’s how Tastesutra happened. 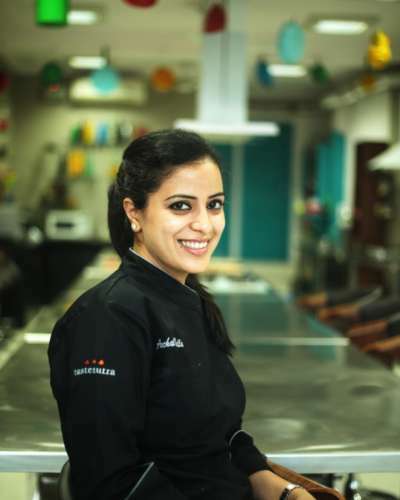 Since childhood, from sneaking into kitchen along with my dad to staying glued onto cookery channels while my counterparts followed cartoons, the love for food & cooking evolved naturally. 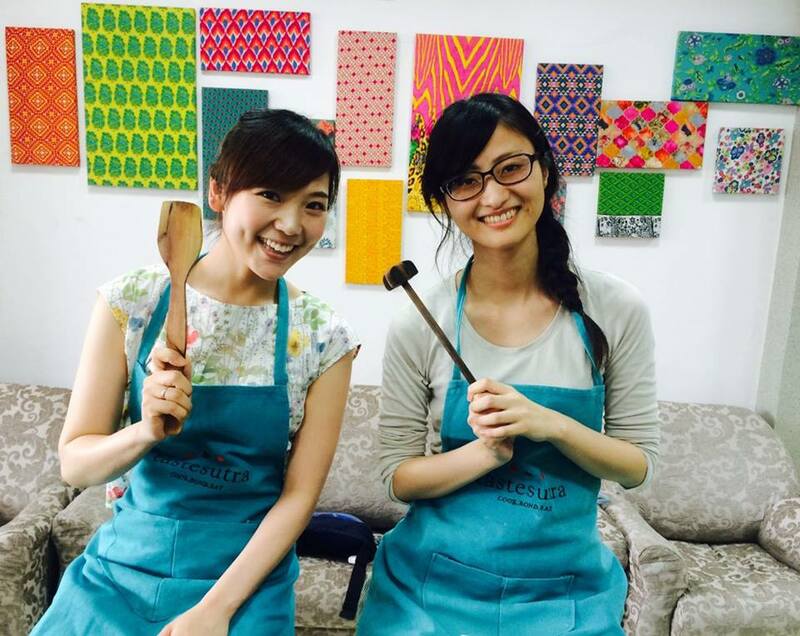 Wherever I travelled, I attended cooking courses to learn the regional cuisines. 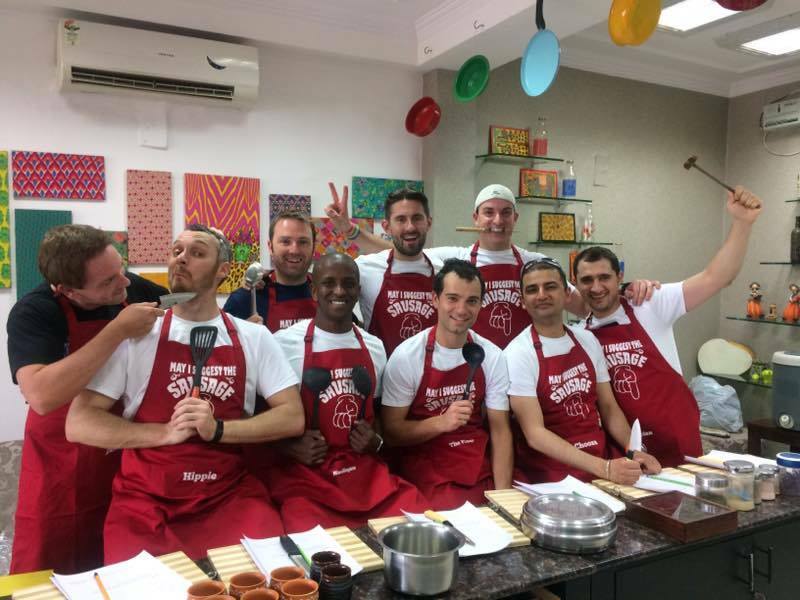 Each new recipe learnt used to bring a sense of happiness & achievement, and there came the idea to share the knowledge of our wonderful home cuisine and culture. The journey which began back then, still continues – meeting travelers, sharing experiences while cooking & eating together! I welcome you to Tastesutra – where each corner has been imbibed with abundance of warmth, love & elation!